Lung cancer remains the leading cause of cancer deaths, with almost 1.3 million people dying annually from this condition worldwide . Although a variety of chemotherapeutic regimens have been developed to treat this intractable disease, their efficacy is limited and depends on cancer subtype. Non-small-cell lung cancer (NSCLC) accounts for 80–85% of all lung cancer cases and is less sensitive to cytotoxic drugs than is small cell lung cancer. - Number of deaths from lung cancer exceeds the number of deaths from breast, prostate, and colon cancers. - screening remains controversial. It would change the adverse stage distribution at diagnosis but will it improve survival remains the question. The NSCLC development consists on progressive mutations in the genome that are caused , in the majority of cases, by prolonged exposure to carcinogens: cigarette smoke (82%), radon gas (10%), asbestos (4.5%), passive smoke (4%), air pollution (2,5%). Instead, hereditary gene alterations represent another additional risk that leads to the predisposition to develop this pathology. Another cause is represented by viruses: human papillomavirus, cytomegalovirus, BK virus, JC virus, SV40. These viruses may affect the cell cycle and inhibit apoptosis, allowing uncontrolled cell division. The TNM classification describes the anatomical extent of lung cancer at a certain point in the disease process. 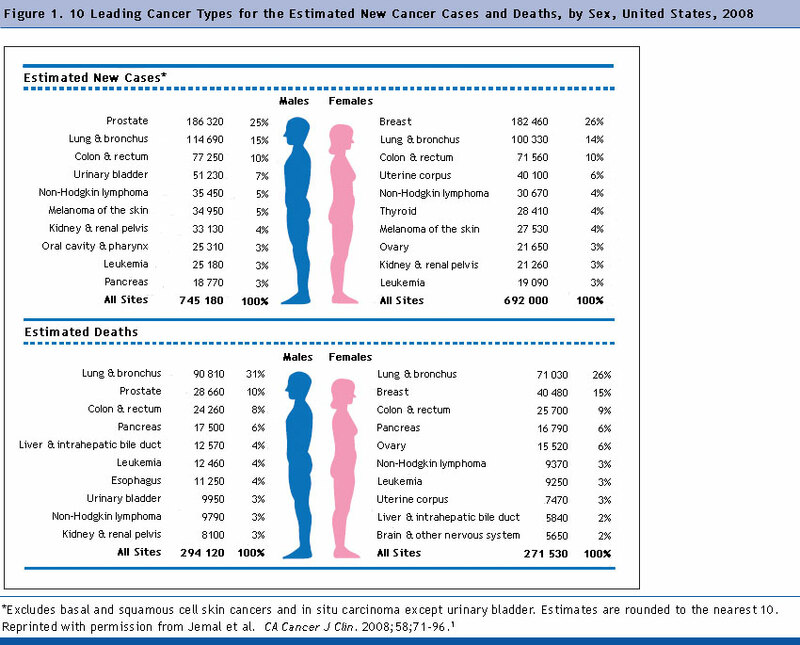 This categorization of cancer spread is a key determining factor in the selection of treatment. It also provides the reference point for determining the efficacy of treatment. The majority of molecular defects that play a causal role in the develompent of lung cancer remain unknown. Genetic approaches suffer from the difficulty of identifying a small number of causal changes within a sea of changes associated with genome instability. As a result, strategies and methods are needed to focus analysis on the key lesions driving disease. signaling via tyrosine kinases is often deregulated in cancer as these enzymes mediate most growth and survival signaling in multicellular organism. 1- Mutations in the K-Ras proto-oncogene are responsible for 10-30% of lung adenocarcinomas. 2- A subset of NSCLCs was recently show to harbour activatig mutations in the epidermal growth factor receptor gene (EGFR), which regulates cell proliferation, apoptosis, angiogenesis, tumor invasion. Such cancers are responsive to gefitinib, a specific inhibitor of the tyrosine kinase activity. 3- Her2/neu is affected less frequently. 4- P53 tumor suppressor gene, located on chromosome 17p, is affected in 60-75% of cases. 5- Other genes that are often mutated or amplified are: c-MET, PIK3CA, BRAF, LKB1 and NKX2-1. 6- Several genetic polymorphisms are associated with lung cancer. These include polymorphisms in genes coding for interleukin-1, cytochrome P450, capsase-8, and DNA repair molecules such as XRCC1. People with these polymorphisms are more likely to develop lung cancer after exposure to carcinogens. 7- A subset of individuals with NSCLC exhibits a small inversion within chromosome 2p that results in the formation of the fusion EML4-ALK. In recent years, various molecular targeted therapies have been developed for the treatment of advanced lung cancer: tyrosine kinase inhibitors (gefitinib, Erlotinib); angiogenesis inhibitor bevacizumab; future areas of resarch include Ras inhibition, PI3K-inhibition, histone deacetylase-inhibition, tumor suppressor gene replacement.